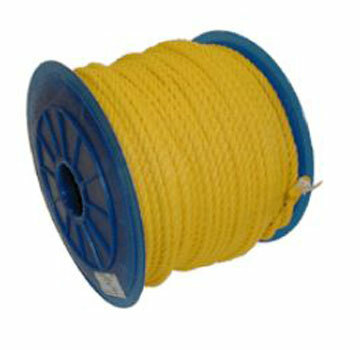 PRODUCT: 1/4" x 1200' 3-Strand Twisted Monofilament Yellow Polypropylene Rope, 1250 lb. Break Strength. Price/Each. Colors: blue, Yellow/Black and White.